High blood pressure, or hypertension, is a common condition that statistically strikes one out or four adults in the US. What is it and how to define it? Blood pressure is the force of your blood pushing against your artery walls. Your blood pumps into the arteries with every heartbeat. The pressure is at its maximum point when the heart beats – it’s called the systolic blood pressure. Consequently, it falls between the heartbeats – this is a diastolic pressure. We talk about hypertension when either your systolic blood pressure is above 140 mm Hg, or your diastolic blood pressure is above 90 mm Hg, or both at the same time. Although it’s not so easy to notice signs of hypertension, it can increase the risk of such health problems as heart disease or stroke. Some studies agree that, apart from other possible forms of treatment, you can use massage to lower blood pressure. However, the research on the link between massage practices and hypertension is quite limited, so there are some contraindications and questions yet to be answered. So, let’s see how hypertension and massage are connected, and what are pros and cons of this technique. Some studies show that a gentle massage is not only a great relaxation technique, but is also a useful tool against hypertension. It calms down your sympathetic nervous system, which raises your blood pressure in response to stress factors. So, adding a massage therapy to your regular treatment and stress management practices can consequently lead to decreasing the level of your blood pressure. However, different types of massages need to be acknowledged and differentiated. While sports massage and trigger point therapy increase the pressure, gentle, relaxing sessions or a deep-tissue massage therapy, combined with soothing music and calming essential oils (lavender, rose, jasmine) can actually help you lower your high blood pressure. Hypertension means high intra-vascular pressure (simply speaking, how hard blood pushes against your vessel walls). Any activities that might increase this already high pressure are potentially dangerous for your health. Hence some massage techniques are proven to cause blood circulation augmentation. During the procedure, stagnant blood leaves your tightened tissues and gets replaced with the fresh blood – thus your blood circulation increases. That consequently leads to even higher blood pressure – the opposite of what is desired. This is the reason why massage therapists need to be quite cautious when working with hypertensive clients. Well, can massage lower blood pressure after all? The answer is – it depends. 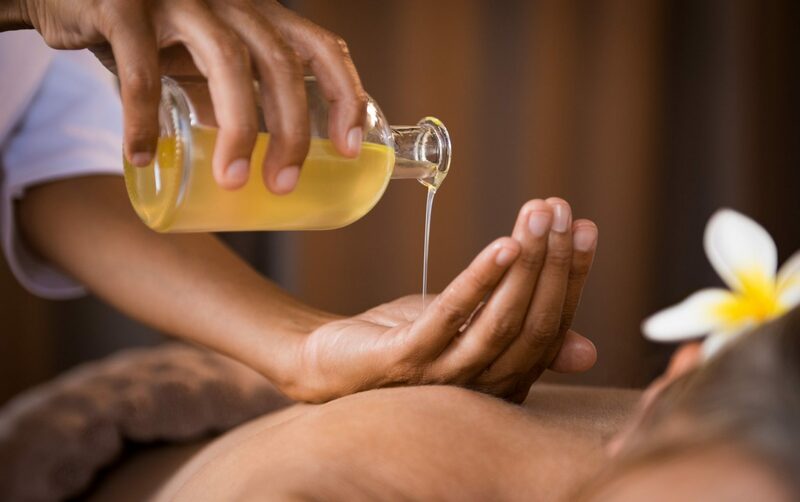 Types of massage, possible restrictions for people with different conditions – many circumstances define the convenience and safety of this practice. If you have hypertension, it’s better to consult with your doctor before deciding to go for a massage therapy. Every person is unique, and health conditions need to be treated seriously. Overall, trying to lead a healthy lifestyle, exercise in moderation, eat healthy, avoid excessive smoking – all of that contributes to controlling your blood pressure levels. While there is no clear scientific evidence that would certainly recommend massage as a treatment for hypertension, gentle and relaxing sessions can help you reduce your stress factors and therefore lower the risk of increasing blood pressure. Consider trying different stress management techniques (meditation or yoga) and talk to your therapist about the possible benefits of massage for your health.